An affordable solution designed for business productivity. The Present Day and Reference modules are productivity tools built around task management. These modules help users plan their work, providing high visibility while collaborating with other users. Increasing productivity by sharing relevant task information only to relevant collaborators needed to complete a task. Collectively share reports, tasks, and statuses from one platform. 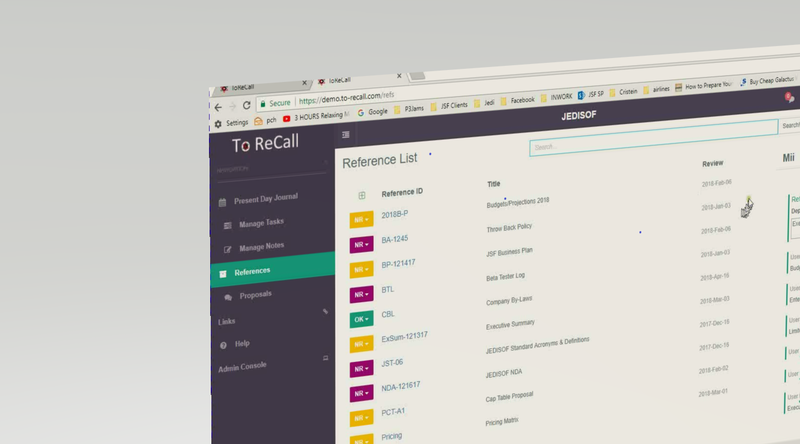 Offering users a unique customized search approach to quickly find company documents that are task relevant. 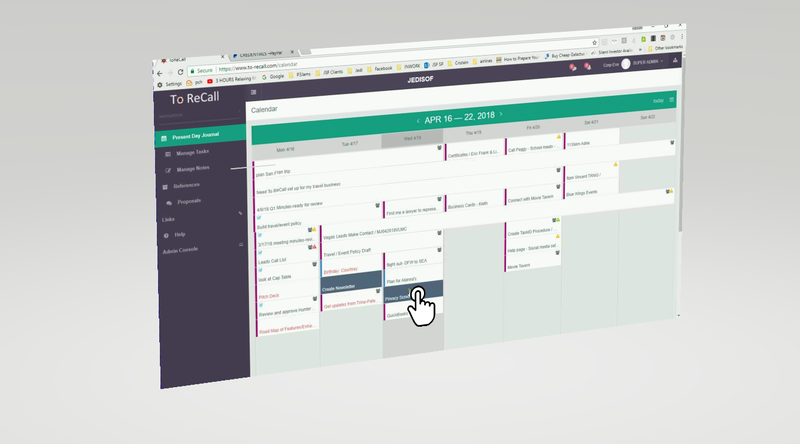 Users can also customize their work screens to give themselves quick access to any additional tools and information they use most often while performing daily tasks. A VALUABLE SOLUTION FOR GETTING THINGS DONE. 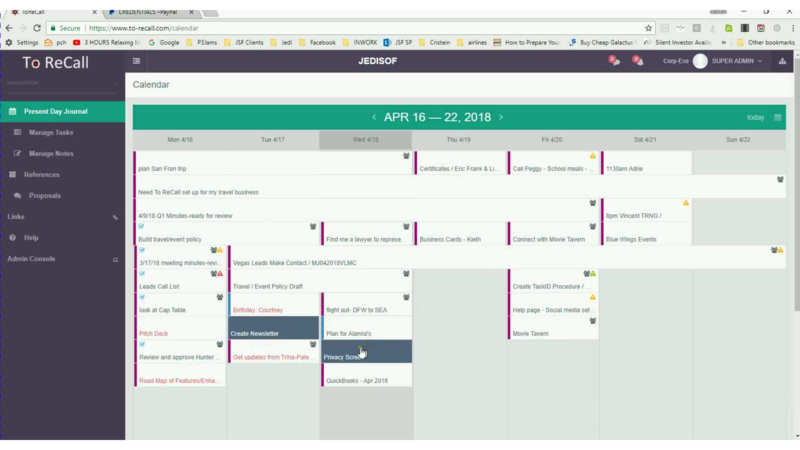 Managing and tracking of tasks and milestones. A week-based planner to manage, record and organize work. 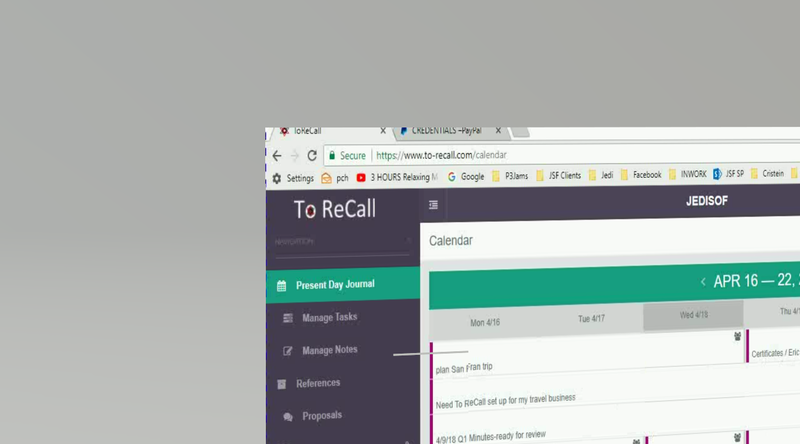 The Present Day Module is module that allows users record their daily activities as tasks and notes and then organizing these activities using a weekly calendar. 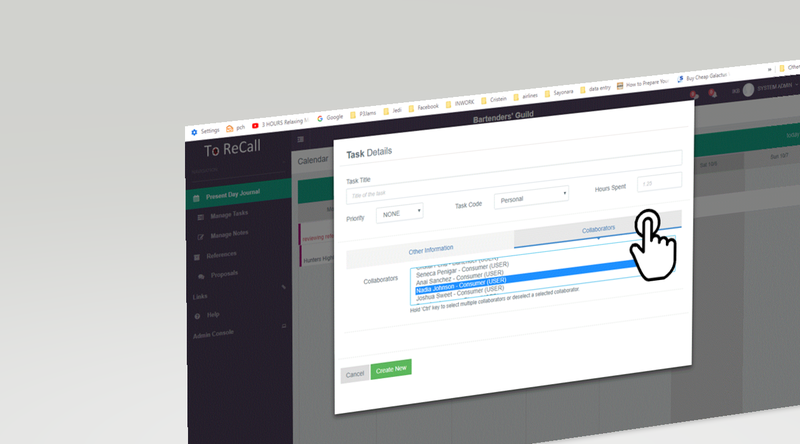 It also serves as the main platform for internal and group collaboration, and navigating the ToReCall system for quick access to additional programs and links. Knowledge base or library of references to easily access information. An integrated repository of links gathered from different source materials and made available to everyone in the organization. Just like books to a library, references are the lifeblood of your knowledge base. The only difference is that whereas a book is the actual source of information, the references you keep in ToReCall are merely links to the actual material. That’s right! There’s no need to upload references into the application. If you already have your own repository just point the reference to it and be able to access content from multiple repositories from just one screen. If you do not have your own repository, ask us about cloud storage, our rates are very competitive.